Gift planning, often referred to as planned giving or estate planning, is a charitable gift that requires more thought and planning to execute than the average donation. Gift planning is a way to support nonprofits, such as William Penn University, that enables philanthropic individuals, alumni or donors to make larger gifts than they could make from their income. 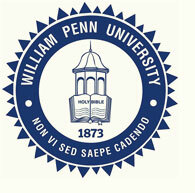 Join our Heritage Society today and see how your gift to William Penn University makes a lasting impact.